Everyone has a story to tell. We all have feelings, and we have the right to express ourselves. When I was 2 years old, my mother bought me my very first book. I did not know how to read, but I was fascinated by the book. The cover was colorful, and it had an illustration of a blue fish that smiled. I carried that book around with me everywhere I went. My mother had read the book to me whenever she had free time, but I wanted to be able to read the book anytime I wanted, with or without my mother. Whenever my mother had read the story to me, I had listened as carefully as I could so that I could try to memorize the story. As she had read the story aloud, my mother had held me in her arms and she’d pointed to each word as she read them. This had helped me to know exactly what the words were as I had tried to memorize the story. Eventually, I had learned every word to the story and I was able to memorize it. I pointed to each word as I remembered my mother had done. 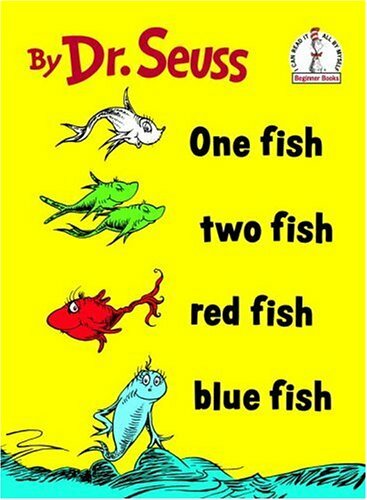 This is how I had learned to read, and how I fell in love with red and blue colored fish. When I was 6 years old my 2nd grade teacher, Ms. Medley, gave me my first composition notebook. She told us that this notebook was going to be our best friend for the whole school year. I found it curious that a notebook could be someone’s best friend. I asked Ms. Medley what did she mean. She told me that I would find out soon enough. About a day later, Ms. Medley gave me my first writing assignment. I had to write my assignment down in the new composition notebook. It was my first interaction with my first assigned best friend. The only rule of the assignment was to write one paragraph about something that I wanted. My first writing assignment was titled: I Want A Dog. It is interesting what happens when a person who was born to write, actually begins to write. Paragraph one started with how much I would have liked to have a dog (very much), why (because they are so cute and fluffy), and why I couldn’t have one (our home was too small to keep one). Then, when I finished with the reason as to why I couldn’t have a dog I began a second paragraph. Paragraph two stated why I should have dog despite having a small home (I’d take good care of the dog, and let it sleep in my bed). The second paragraph listed reasons why I should have a dog. It was only right that the third paragraph that followed list what kind of dogs I would have, and paragraph four listed different names I would have named my dog. By the time I’d ran out of pages in my composition notebook I hadn’t realized that I had written 100 pages. Scared that I’d get in trouble, I showed my mother what I had written. I’ll never forget Ms. Medley’s encouraging words. I took them very seriously. I love reading and collecting books, even the ones about fish and green eggs and ham. I am in love with writing. It doesn’t matter what I write. It could be poetry, short stories, a novel, fiction, non-fiction. I do not stop until I feel that it is all there. Everything I need to express will be there. I learned this when I first learned to read and write. I wrote my first novel at 6 years old, and I have not stopped.